China’s production of paraquat, one of the world’s most popular non-selective herbicides, will grow at a CAGR of 5.8% over the next four years, according to a new report by market intelligence firm CCM. Increasing overseas demand will be the main driver of this growth, particularly due to the spread of no-till farming techniques. Chinese paraquat exports have been increasing steadily in recent years; exports of 42% paraquat TK, for example, rose 35% between 2010 and 2014. The only decrease during this period was in 2014, when many Chinese pesticide companies concentrated on building up large inventories ahead of the ban on producing paraquat AS for domestic use, which came into effect in July 2014. South America, South East Asia and (in the case of paraquat AS formulations) Africa have been the major markets Chinese paraquat during this period, and CCM predicts that this trend will continue in the future. In 2014, the biggest export destinations for Chinese paraquat TK were Indonesia, Thailand, Brazil, Malaysia and Australia, with these countries accounting for 19%, 13%, 8%, 6% and 6% of exports respectively. For paraquat AS formulations, meanwhile, the largest export markets were Nigeria (27%), Vietnam (10%), Thailand (9%), Ghana (8%) and Australia (4%). China’s paraquat industry has become increasingly dependent on exports – over 83% of the paraquat produced in China was exported in 2014, and this figure rose to 94% in Q1 2015. And the industry will become even more oriented towards exports from July 2016, when a ban on the sale and use of paraquat AS in China will come into effect. Actual domestic consumption of paraquat rose 11% during 2010-2014 to over 20,500 tonnes, but CCM forecasts that this figure will plummet by over 50% in 2016 following the introduction of the ban. However, consumption is likely to rebound from 2018 onwards as the prices of new formulations to replace paraquat AS decrease. China’s top five paraquat producers – Nantong Syngenta, Nanjing Redsun, Hubei Sanonda, Shandong Luba and Shandong Kexin – have become increasingly dominant since 2010. 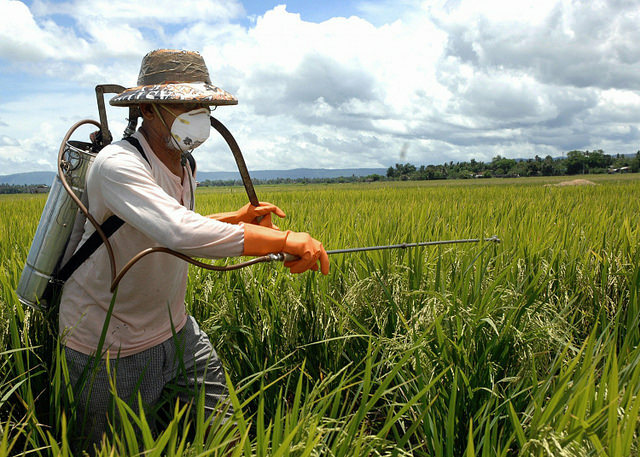 In that year, the five companies accounted for 76% of China’s paraquat exports, but by 2014 this had increased to 83%. CCM predicts that further industry concentration will take place in the paraquat TK industry over the next four years thanks to Chinese government policy targeting increased investment in R&D and environmental protection measures among paraquat manufacturers, and restrictions on new market entrants. More details on China’s paraquat market can be found in CCM’s new report, Production and Market of Paraquat in China. The report provides detailed historical data and analysis of how China’s paraquat industry has developed over the last fifteen years, and forecasts for the period 2015-2019. For more information about CCM and our coverage of China’s pesticides market, please visit www.cnchemicals.com, or get in touch directly by emailing econtact@cnchemicals.com or calling + 86-20-37616606.